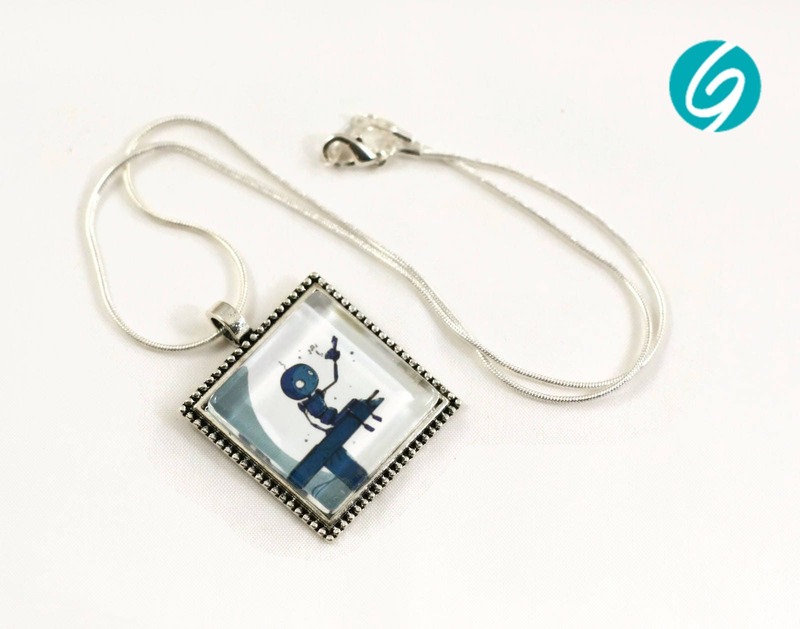 Assembled on silver chain about 40cm (16 inches), the square pendant and the glass cabochon are about 25mm in diameter. 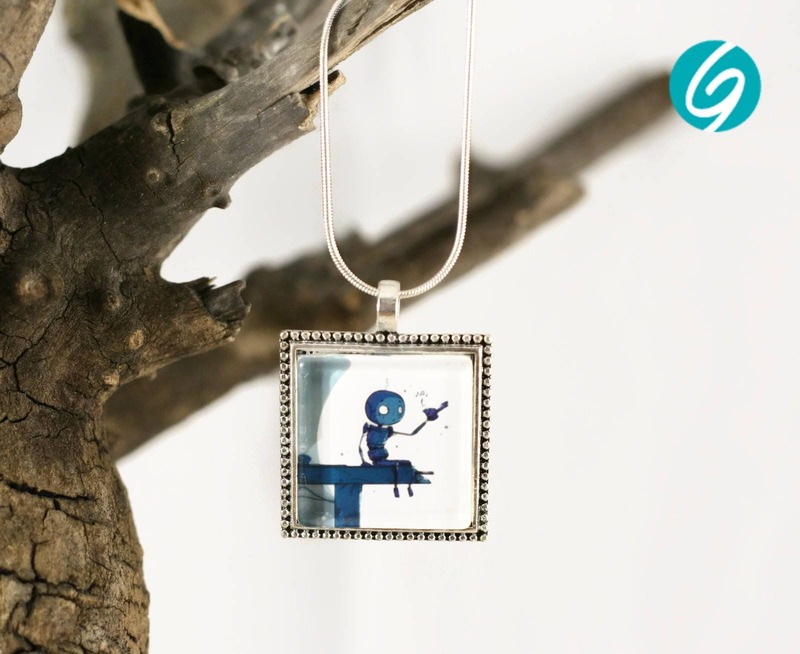 The whole "art" jewelry collection is original and comes from an association with illustrators, comic artists and talented painters from Quebec City. 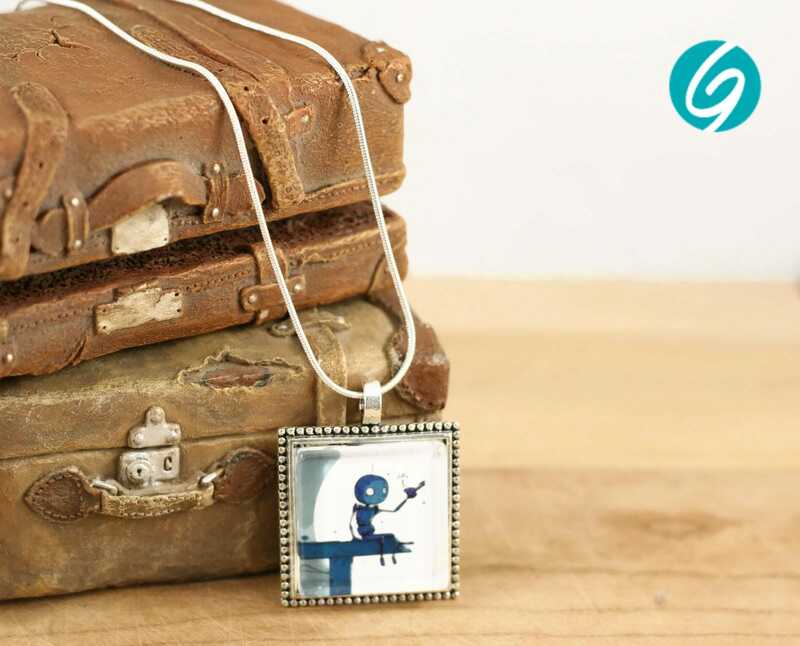 It is exclusive to GEBO Creations. For any information, do not hesitate to contact me!